Although this was not clearly stated in the initial coverage, the price reduction of a entry level, 12 marker Y-chrome test by FTDNA is a limited time only event. It now appears that the price will only be offered through February 28th. This does not prevent you purchasing kits during the sale and using them sometime in the future. The kits have a good shelf-life. So if you have been contemplating whether or not this new offer is worth taking advantage of, you will have to decide and ACT before the end of the month. It is possible the sale will be extended; but there is no guarantee that this will be the case. To take advantage of such sales in the past, one must have ordered AND paid for kits by midnight Houston time in order to get the sale price. FTDNA drastically lowered the cost of it's entry level Y-chromosome DNA test today. This is a test that can be taken by men to trace their paternal surname line up their family tree. This test will allow men to determine their general haplogroup (ancient clan) but will not be specific enough to answer many family history questions. However, as Your Genetic Genealogist pointed out today, this will get samples stored for 25 years--or until it is used up by further testing. So this is a very economical way to collect samples from several members of the older generation of your family for future family research. HOUSTON, Feb. 20, 2013 /PRNewswire/ -- FamilyTreeDNA.com, the genetic genealogy arm of Gene By Gene, Ltd., is dramatically lowering the price of one of its basic Y-DNA tests to $39, making it the lowest-cost DNA test available on the market, in order to take a major step toward universal access by individuals to their personal genetic data. By dropping the price of its basic Y-DNA test by 60 percent to $39, Family Tree DNA -- the world's largest processor of Y-DNA and full mitochondrial sequences -- is working to eliminate cost as a barrier to individuals introducing themselves to the insights and knowledge to be gained from personal genetic and genomic research. Family Tree DNA pioneered the concept of direct-to-consumer testing in the field of genetic genealogy more than a decade ago, and has processed more than 5 million discrete tests for more than 700,000 individuals and organizations since it introduced its Y-DNA test in 2000. The test investigates specific Y-DNA locations for males that provide individuals with their haplogroup, or the deep ancestral origin of the paternal line. In addition, it can indicate if different individuals are likely to share a common male line. Gene By Gene is also working to lower the cost of Family Tree DNA's comparable mtDNA test, which would be applicable to both females and males and provides data on the direct maternal line. The company expects to unveil new pricing for this test in spring 2013. As the sponsor DNA Workshop of "Who Do You Think You Are - Live" in London this February, Family Tree DNA expects that the reduced price test will add a great number of individuals to its already large database – the largest of its kind in the world. "We believe the first step to unearthing your personal and family history is to better understand your DNA," Gene By Gene President Bennett Greenspan said. "That's why we are continuously investing in new technology and experienced scientists at our Genomics Research Center, enabling us to conduct tests more accurately, efficiently and at lower prices. Our $39 Y-DNA test is just the latest example of how we are working to help individuals gain access to their genetic data." 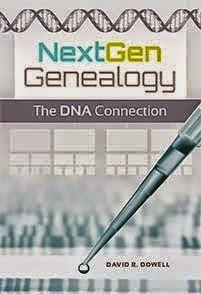 Individuals interested in Family Tree DNA's $39 Y-DNA test, or any of its ancestral testing products, can visit www.familytreedna.com for more information. For more information check the BBC site. That site is being updated frequently this morning with this breaking news. Ann Turner just suggested this University of Leicester site with more details of the DNA that was compared. CNN has additional details as well. Back in September I posted to this blog an article that said red hair could only be inherited from a father who was a member of the R1b haplogroup: http://blog.ddowell.com/search?q=Red+hair. Within my own immediate family this correctly predicts both the haplogroups of my first father-in-law and me. My first wife and my daughter were both born with rich auburn hair. It will be of interest to those of you who have or love someone who has red hair.